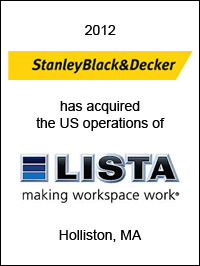 Stanley Black & Decker (NYSE: SWK), New Britain, CT, has acquired Lista North America (“Lista”). Based in Holliston, MA, Lista is a worldwide leader in the tool storage and workplace solutions industry. EC Mergers & Acquisitions acted as exclusive financial advisor to Stanley Black & Decker on this transaction. 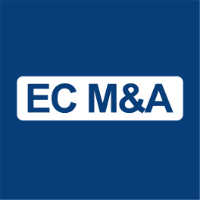 This was EC Mergers & Acquisitions’s ninth transaction on behalf of Stanley Black & Decker.